Portland Rock in GTA III. 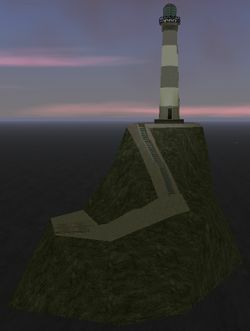 Portland Rock is a small island containing a non-working lighthouse within the boundaries of Portland Beach, Liberty City, in Grand Theft Auto III and Grand Theft Auto: Liberty City Stories. Portland Rock in GTA Liberty City Stories. The island's appearance has changed between 1998, the setting of GTA Liberty City Stories, and 2001, the setting of GTA III. In GTA III, the rock is devoid of vegetation and is paler, giving an old look to the island. The white-and-red-colored Portland Lighthouse is situated on the island although it serves no practical purpose. With the lack of an accessible dock, the island is normally inaccessible to the player by boat. If the player does manage to reach the island, the player will be forced to slide off the island. The only way to access Portland Rock in GTA III is through modifications. 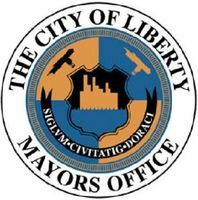 In GTA Liberty City Stories, the island is made accessible to the player. The island is remodeled to contain a small wooden dock at the bottom of a long flight of stairs that no longer forces the player to slide down the island. The island has more vegetation including trees and grass and the lighthouse has more vibrant colors. Is the setting for the final mission, The Sicilian Gambit. There is also a Hidden Package. In the 3D Universe in all the cities have a lighthouse right on the first island on which the player starts the game, plus located on the beach. This page was last modified on 6 April 2017, at 19:44.